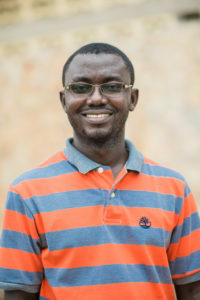 As the lead founder, Mr Enoch Kofi Boadu is a Mechanical Engineer and Biogas expert with high interest in waste management innovations. He has ten (10) years of experience in the biogas sector with proven track record of innovations. His passion and determination to bring innovation into the current waste management system is the bedrock of the business. DAS Biogas Construction Ltd offers a complete form of domestic and institutional waste management services as well as the manufacturing of plastic roofing tiles and pavement for the construction industries. DAS Biogas provides and installs portable biogas plants to households in Ghana to treat the organic kitchen waste, which would mostly end up on landfill sites posing health risk to humanity. The technology system installed generates biogas in the process of treating household waste, which is highly viable for cooking purposes. The liquid fertilizer residue generated from the system after waste treatment is mostly used to water the garden areas or even farmlands. The company has interest in contributing to sustainable development through innovation in the waste management and construction industry. The vision of the company is to be an innovative and complete waste management service provider in Ghana.